Kettal is a design brand for outdoor furniture. Since its beginnings in 1964, Kettal has had an international calling to design and innovation. Today, Kettal works with the most important names in international design: Jasper Morrison, Patricia Urquiola, Rodolfo Dordoni, Hella Jongerius and Emiliana Design studio. The assignment was to design a catalogue that would reflect the artistic values of the company. The use of material is very important to the design of Kettal’s furniture. The embossed cover with a ‘K’ of Kettal pattern reference to the tactile of fabrics. 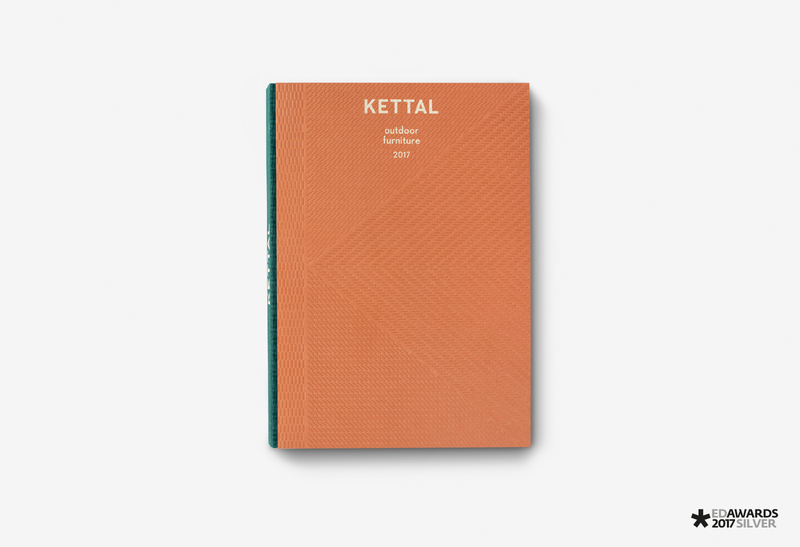 It gives the book directly the look and feel where Kettal stands for.